FatBoy Ice Cream | Got WHOLE Milk? 01 Apr Got WHOLE Milk? Ahhhh…milk. It’s the perfect companion to your breakfast shakes, your freshly-baked cookies, and soothing remedy for any baby to sleep. Its benefits go far beyond just the taste, too. Milk is a nutrient-rich food produced by the mammary glands of mammals. It is the primary source of nutrition for infant mammals before they are capable of digesting other types of food. Milk from a mother is fascinating because it also protects against some diseases in offspring as it carries the mother’s antibodies to her young. Just one 8 ounce glass of milk contains three out of the four nutrients the USDA claims are under-consumed by the majority of people in the States. 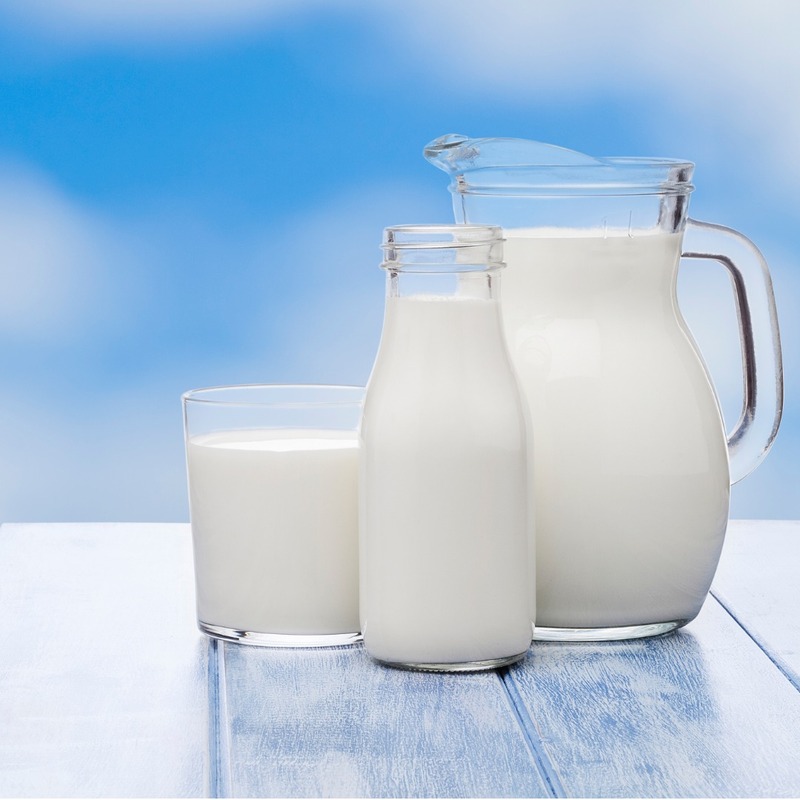 Experts agree that milk plays a vital role in a healthy diet. A cow produces an average of 6.3 gallons of milk daily and 350,000 glasses of milk in a lifetime. That’s more than 2,300 gallons each year! The U.S., India, China, and Brazil are the world’s largest exporters of milk and milky products. U.S. dairy farms produce roughly 21 billion gallons of milk annually. The average American consumes almost 25 gallons of milk a year. The greatest amount of milk produced in one year was 59,298 pounds by a Holstein cow named Robthom Sue Paddy. To get the amount of calcium in an 8-ounce glass of milk, you’d have to eat one-fourth cup of broccoli, seven oranges or six slices of wheat bread. Many people assume that whole milk is sweetened with sugars because of its rich and creamy texture. However, that’s not the case at all. There are no added sugars to whole milk. When making 2%, 1%, or even Skim Milk, the cream from whole milk is basically scraped off, removing its fat content and creamy texture, and then re-added in various percentages to the milk before bottling it. The fat in ice cream is called butterfat and is found in the milk and the cream. It contributes great tasting ice cream because it provides a creamy texture, adds its own flavor, absorbs other flavors, makes the ice cream harder and firmer, and slows the melting. Most importantly, the fat from whole milk adds its own delicious, rich, creamy taste to ice cream–which is what you taste and enjoy from our FatBoy novelties. Public health officials have been recommending for decades that Americans consume nonfat or lighter dairy foods. Because full-fat dairy products (like whole milk) have more calories, many experts assumed that avoiding it would increase their health. However, a growing body of research has shown this may not be the case at all in part because some people inadvertently substitute the fat with sugars or carbohydrates. Quite simply stated, people who eat high fat dairy products will likely feel more satiated, and less likely to reach for unhealthy snacks. One study published in the American Journal of Nutrition concluded that those who ate high-fat dairy products actually lowered their risk of obesity by 8%. Two other studies (one published in the European Journal of Nutrition, and another documented in the 2013 Scandinavian Journal of Primary Health Care) concluded that people who consumed full-fat dairy were no more likely to develop cardiovascular disease and type 2 diabetes than people who ate low-fat dairy. Of course we aren’t suggesting you go all-hog wild (or should we say, “cow wild”) and gorge on everything high-fat. We are only explaining why we use fresh whole milk in our products. It’s good! And it’s what makes our ice cream in our products taste so sweet, rich, and creamy! The only question we haven’t answered yet is…Which FatBoy ice cream novelty will you be scarfing down next?